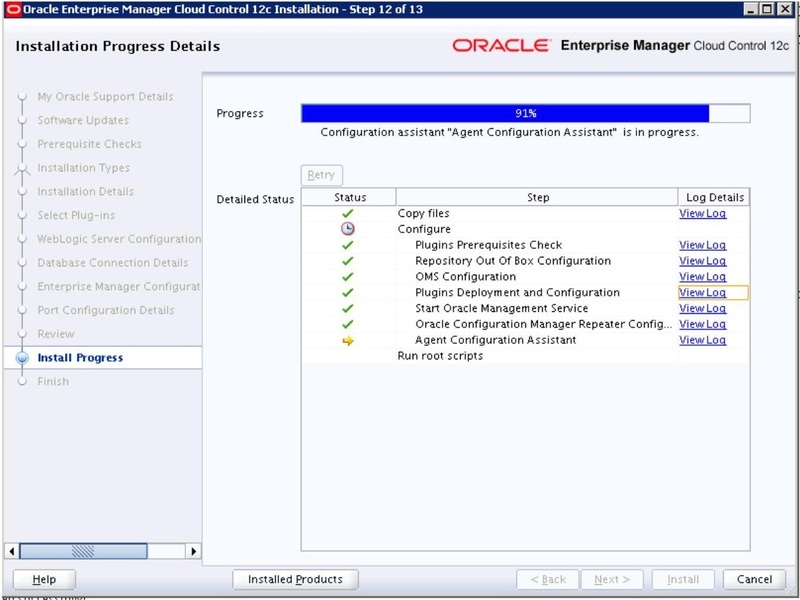 Oracle enterprise Manager Cloud control 12c is used for managing and monitoring multiple oracle database and related targets from a single console.Although Enterprise Manager Cloud Control is viewed as single entity, It has below components. 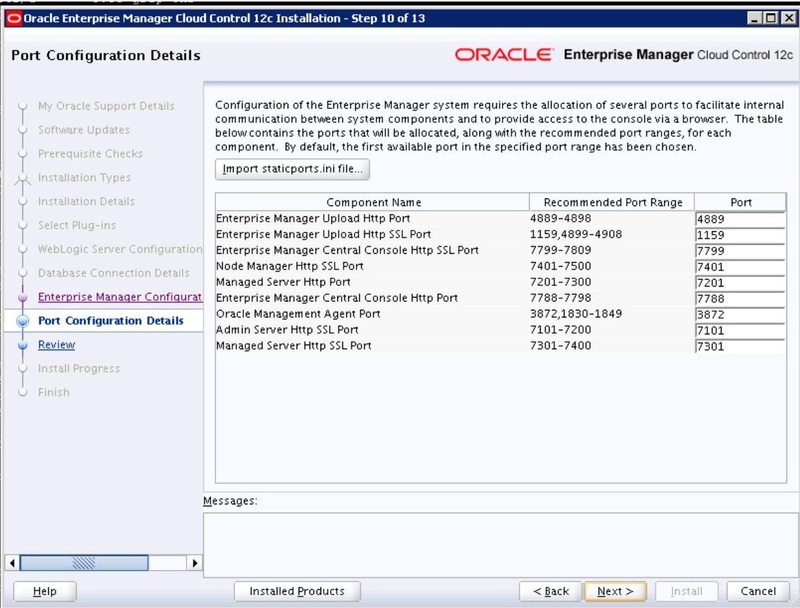 Oracle Management Agent (Management Agent) component is deployed on each monitored host. 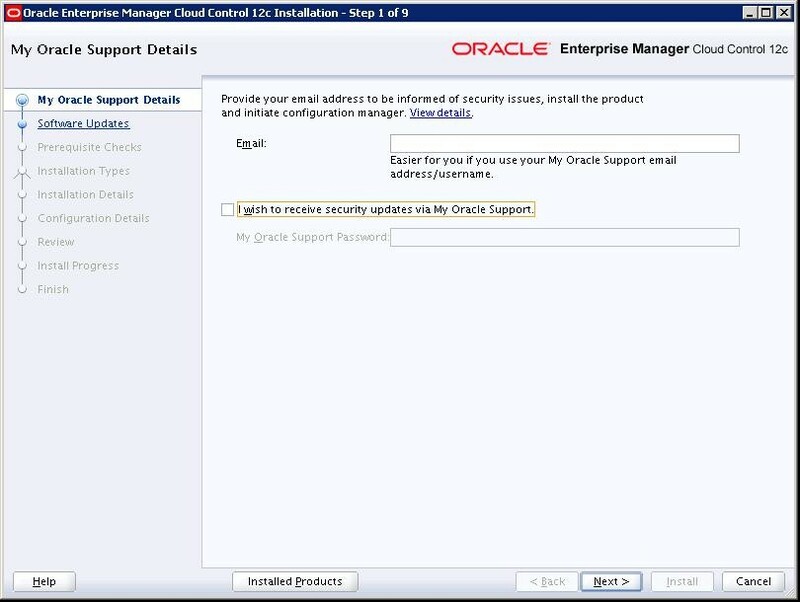 It is responsible for monitoring all of the targets running on those hosts, communicating that information to the middle-tier Oracle Management Service, and managing and maintaining the hosts and its targets. 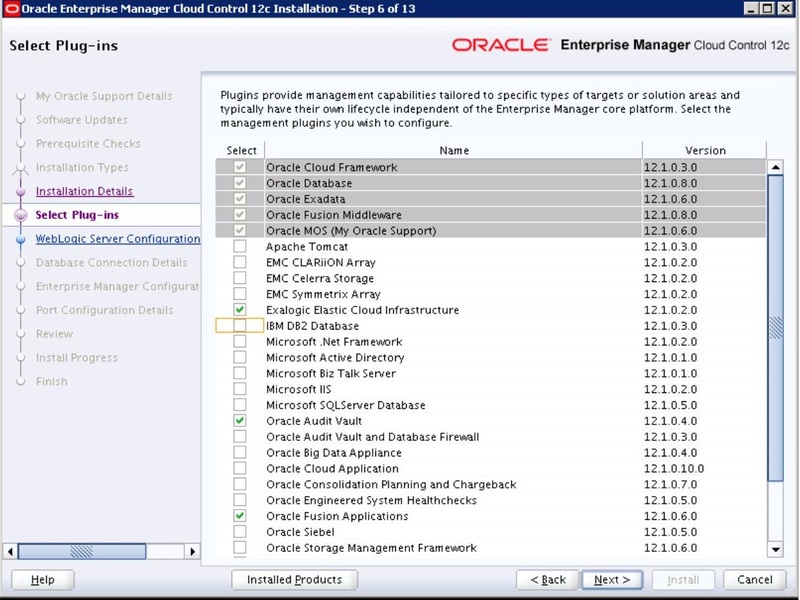 Oracle Management Service is a Web-based application that is connected with the Management Agents and the Management Plug-ins to discover targets, monitor and manage those targets, and dump the collected information in a repository . 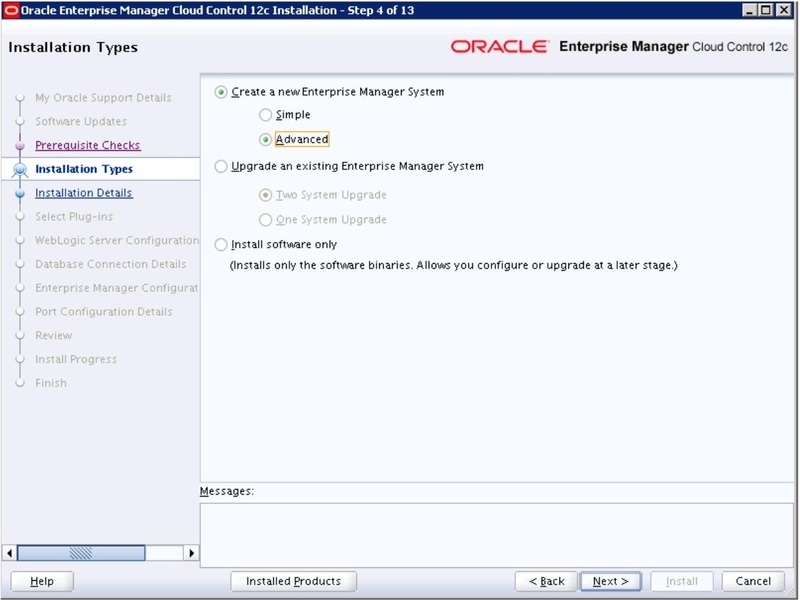 Oracle Management Service also provide the user interface for Enterprise Manager Cloud Control. 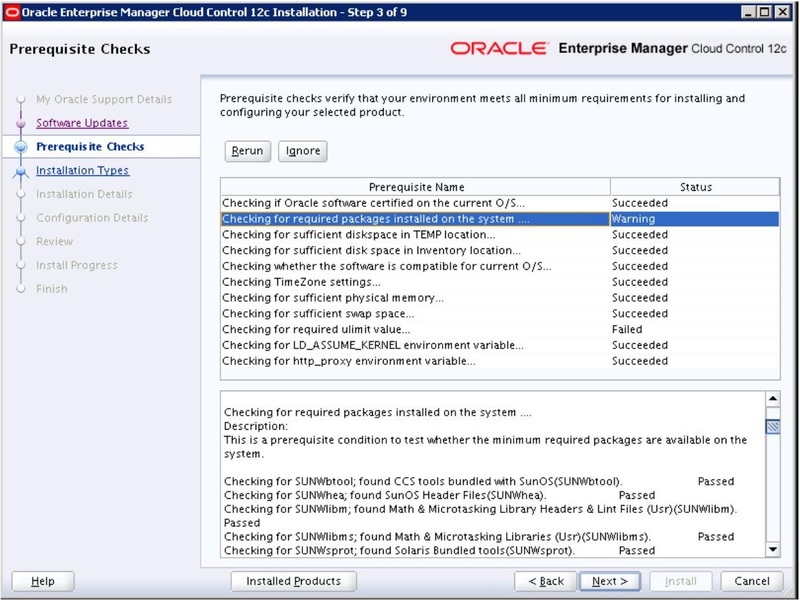 The Oracle Management Repository is a storage location where all of the information collected by the Management Agent is stored. 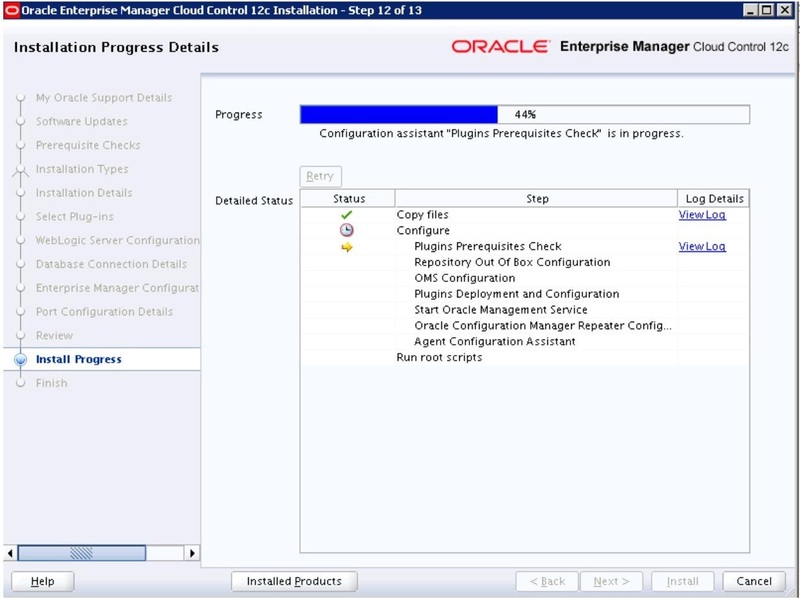 It is basically a database, Where Oracle Management Service uploads the monitoring data it receives from the Management Agents to the Management Repository.Oracle Management service retrieves the data from this repository database and display it in the Enterprise Manager Cloud Control console. 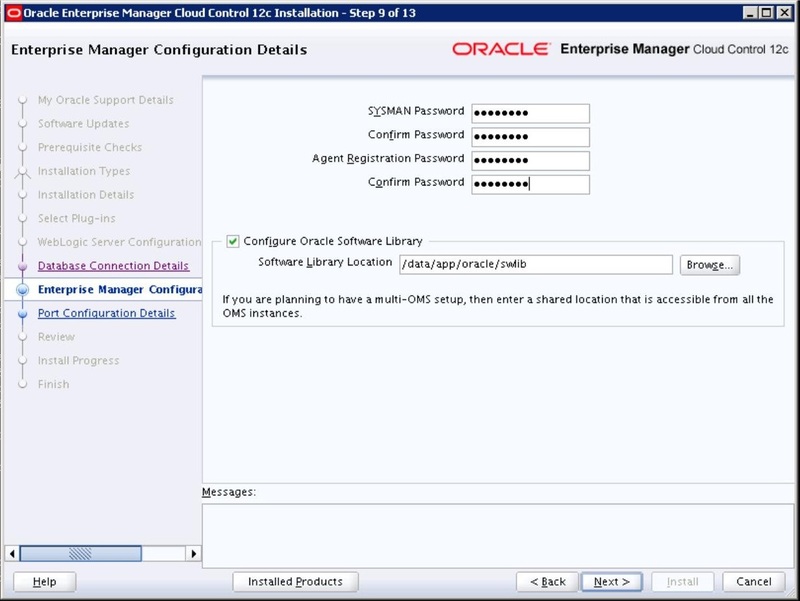 The OEM Cloud Control console is the web-based user interface for Enterprise Manager Cloud Control. 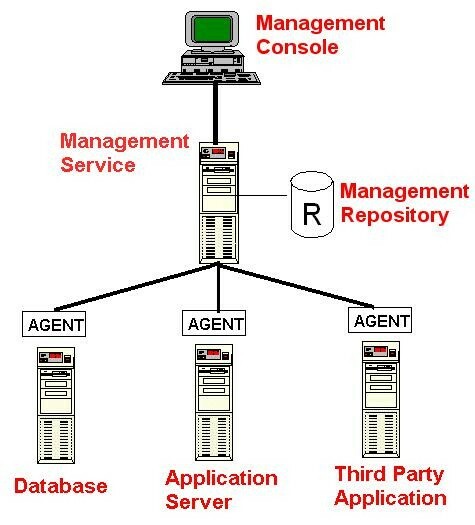 With the help of the console, we can monitor and administer all the systems and services like databases, hosts, middleware application servers, listeners, and so on, are easily managed from one central location. 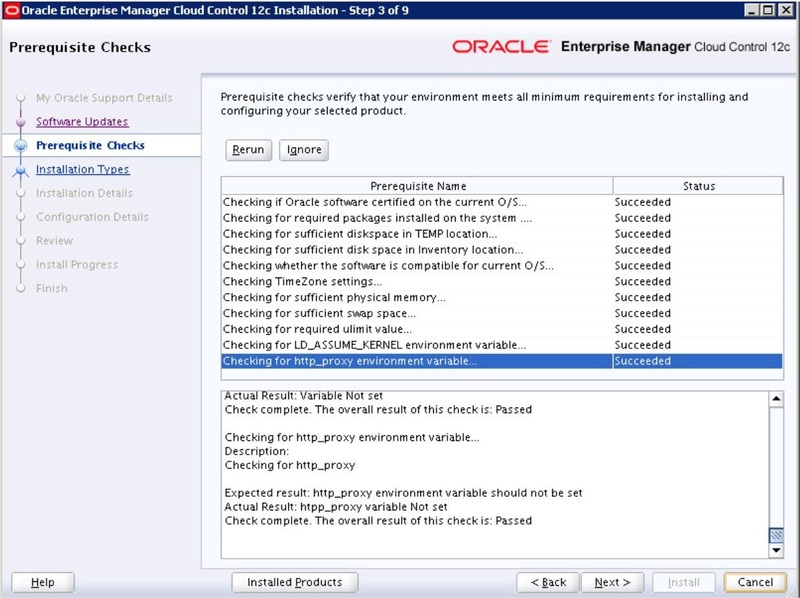 Before Installing OEM cloud control, We need to do below 2 steps. 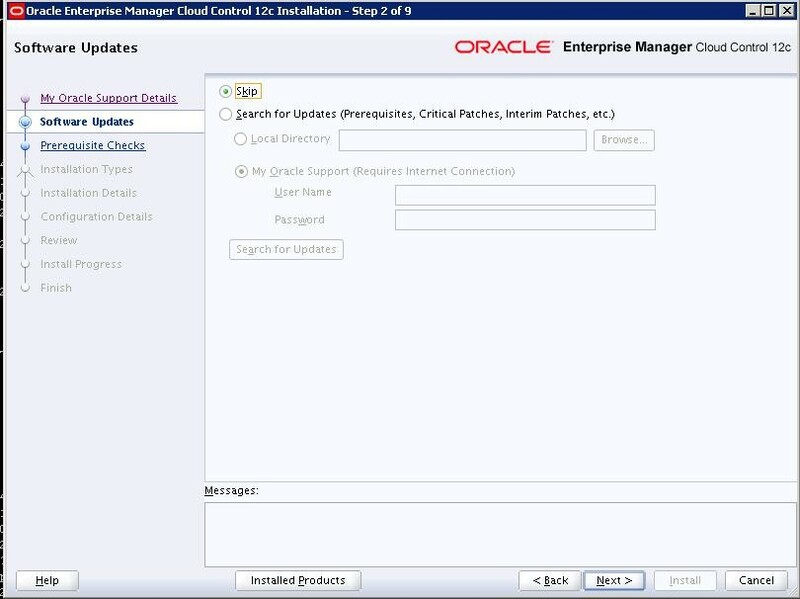 Install the oracle database software 12.1.0.2 on the server, where the cloud will be installed. 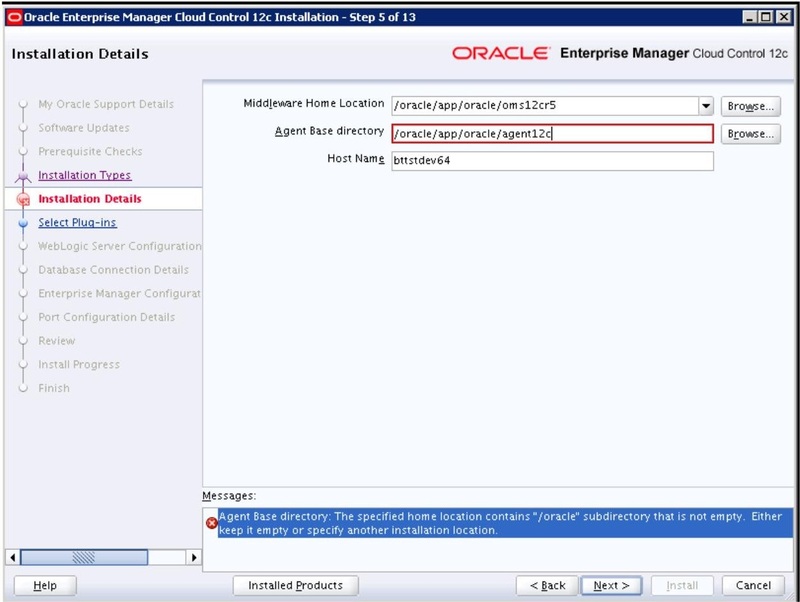 This ORACLE_HOME will be used for creating the repository database. 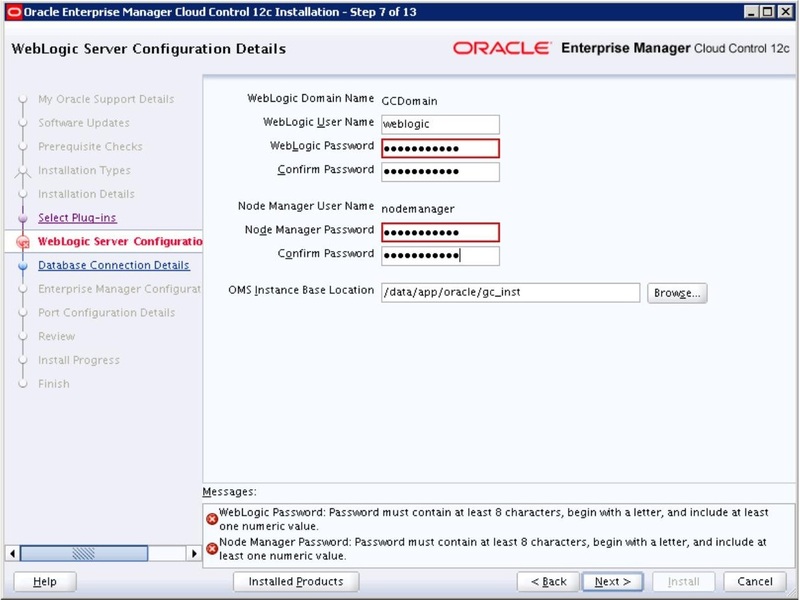 Now create a repository database by using dbca utility. 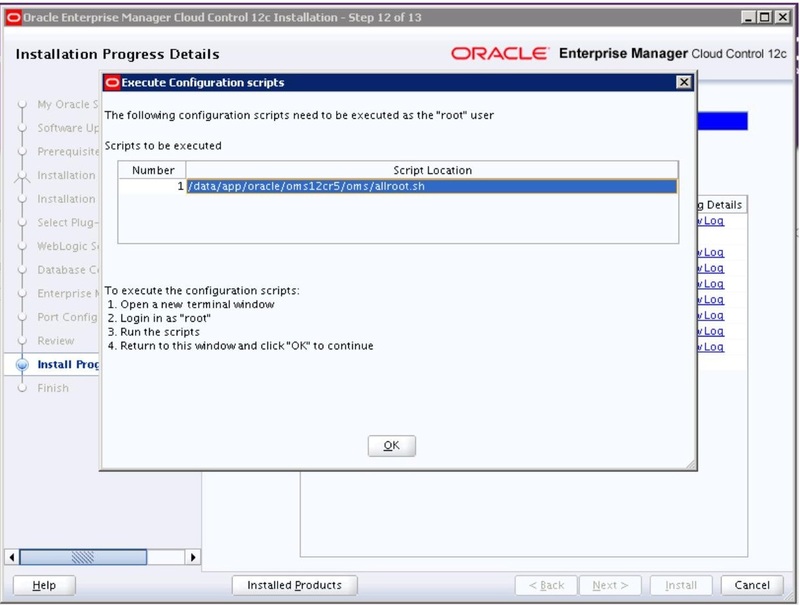 Make sure to use template while creating db. 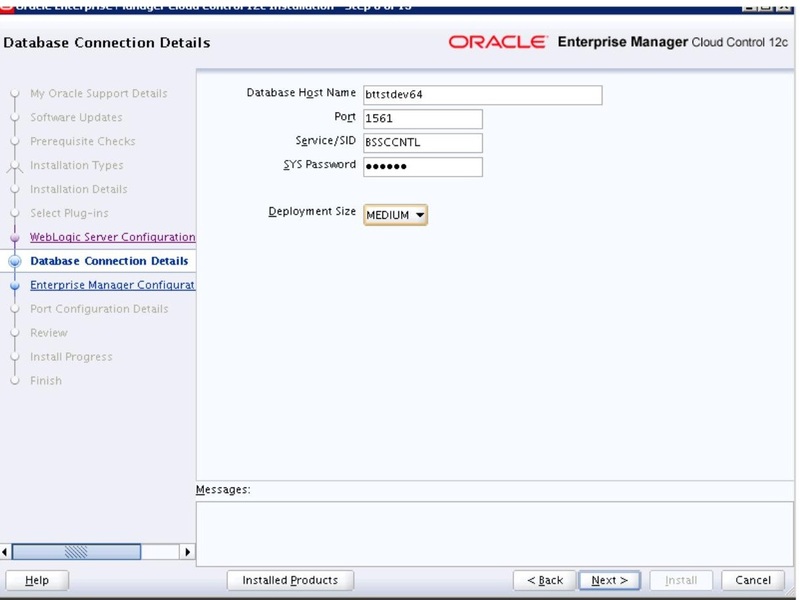 Once database is created, add below entry in the oratab. 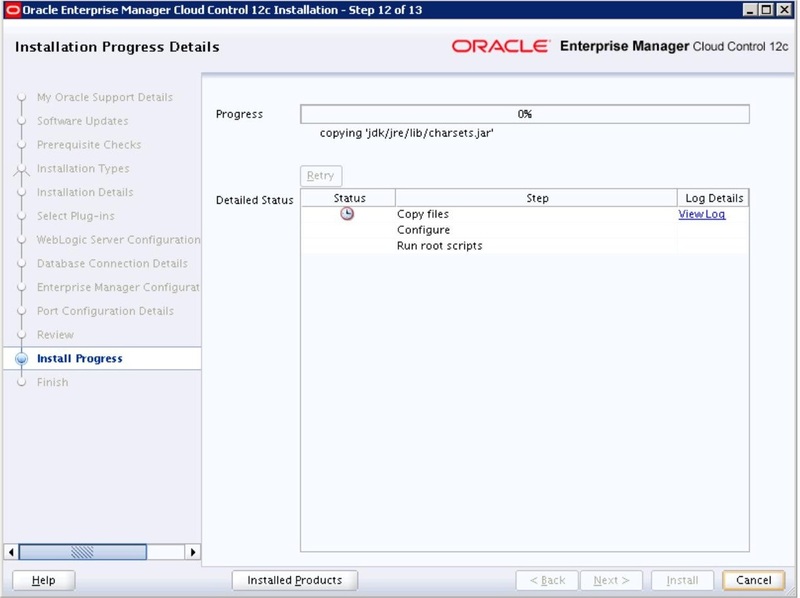 Now Unzip the cloud software and execute runInstaller. 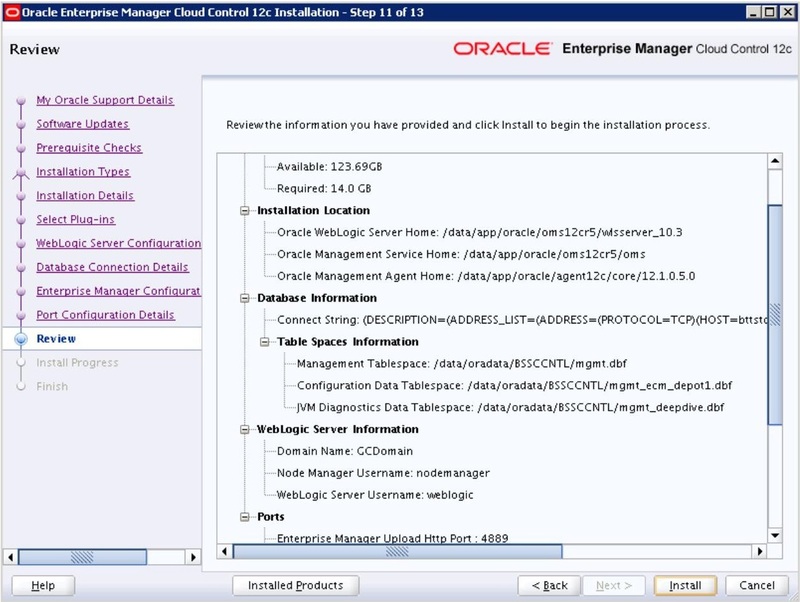 Here, provide the REPOSITORY DATABASE details. Run the above allroot.sh script as root user. And press ok.
With this cloud installation has been completed. Now it will generate below url to access the cloud console.